Check out our new homes for the 2014 year. 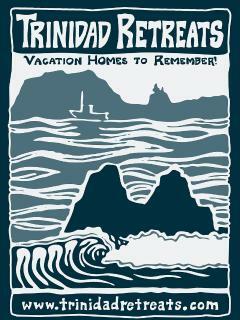 Trinidad Retreats has been offering quality ocean view vacation homes in Trinidad, California since 1997. We have a range of vacation rental homes to meet each guest's style and budget from the coziest of cottages to the most luxurious, contemporary homes. We offer fully furnished, exceptionally clean homes. Our homes include all of the amenities guests need when wanting to relax while on vacation including fully stocked kitchens, quality bed linens and towels, paper products, soaps, barbecue and wood supplies. 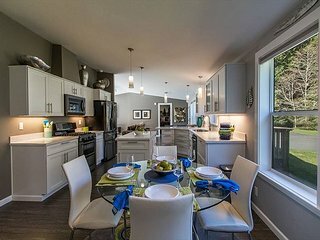 We have many homes that are nestled right in the quaint seaside village of Trinidad within easy walking distance of shops, restaurants and the market. For those guests really wanting to get away we have ocean front homes perched in private areas off of Scenic Drive just South of Trinidad and wooded homes up near Patrick’s Point State Park. Come and stay for 2 nights, a long weekend, a week or even a month! Fern Meadow - Modern private retreat w/ hot tub on over 2 acres. 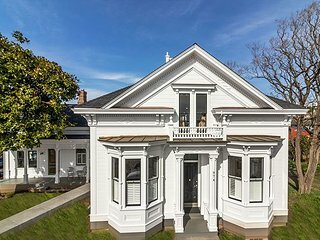 Chapman House - Step Back in Time for 5 Star Historic Luxury Lodging! Driftwood-Cozy Cabin w/ Ocean Views & Sounds of Sea Lions! Pet Friendly too! 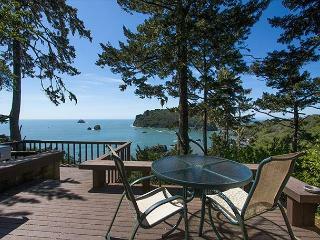 Treasure Cove~Ocean Views From Hot Tub, In Town, Walk to Beach, Ping Pong! Ammon Ranch Cottage - Water lover's delight on the river w/ pool & hot tub! Fisherman's Escape~Sweeping Ocean Views From Every Room of This Beach Home! Ammon Ranch Bridge House - Summer fun w/ 5 bedrooms &private pool near river! 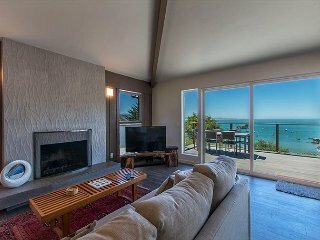 Forest Creek- Redwood Getaway - Privacy w/ hot tub just a mile to the beach! New! 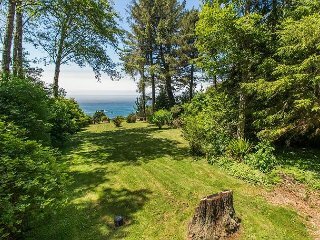 Seawood Vista~ Unique Ocean Views w/ Hot Tub on over a Acre. Moonstone Crossing~Budget Beach Bungalow , Bring Dogs too & Walk to Beach! Parker Creek Cottage~Affordable & Cozy, In Town, Near Beach, Pet Paradise! Scenic Cove~ Stroll down a wooded trail to the beach from this spacious home. Potter's Bungalow- Easy Walk/bike to Plaza Farmers Market. Bikes Included! Garden Pond-Ocean views, hot tub, gardens and on a hiking & biking trail!